CARROT BAY, Tortola, VI- The Virgin Islands has entertained many famous people over the years and while it is not a Territory that is star struck but prefers to respect the privacy of its visitors, from time to time Virgin Islands News Online tends to highlight the visit of certain personalities, such as the Obamas in January of 2017 and NBA legend Michael J. Jordan way back in December of 2011. And following the destructive hurricanes of September 2017 the Virgin Islands continues to welcome visitors from all over the world to ‘Nature’s Little Secrets’, including celebrities. One of the famous personalities currently visiting our shores is nicknamed ‘The Real Deal’ for his exploits in professional boxing. 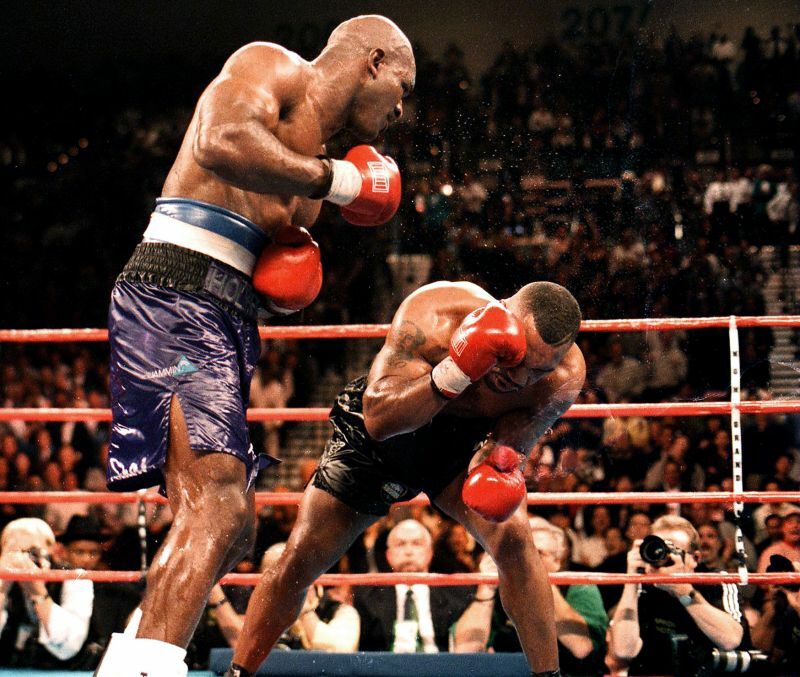 He is former undisputed Cruiserweight and Heavyweight boxing champion, Evander Holyfield. 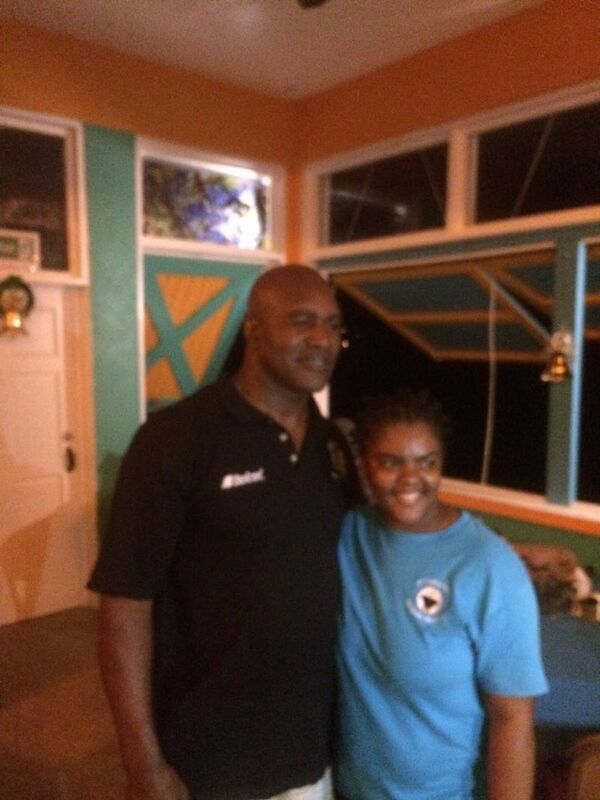 Mr Holyfield, the only four-time world heavyweight champion, was sighted in the Carrot Bay area of Tortola last night, January 12, 2018. Meanwhile, the now retired Holyfield who holds victories over the likes of Michael G. Tyson aka 'Mike', George E. Foreman, Larry Holmes, James Douglas aka 'Buster' and Riddick L. Bowe, will be meeting a Virgin Islands heavyweight- Opposition Leader, former Minister for Education and Culture and First District Representative Hon Andrew A. Fahie, who confirmed Mr Holyfield’s presence in the VI. “The people of the Virgin Islands warmly welcome Mr Evander Holyfield and those persons who accompanied him to our beautiful Virgin Islands shores. He is one of the most successful heavyweight boxers of all time, not only in America but in the world, so it says a lot for the Virgin Islands that he chose to visit our shores, especially in the aftermath of Hurricane Irma,” Hon Fahie remarked in a statement today, January 13, 2018. Hon Fahie added that he is looking forward to their time together where “we will discuss many matters of importance to all concerned while ensuring that he enjoys himself while in the Virgin Islands. 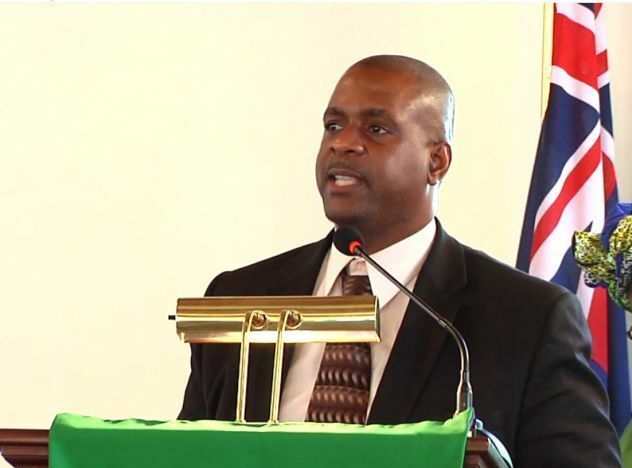 “So while Mr Holyfield is in the Virgin Islands let us all be sure to give him a warm Virgin Islands Greeting anytime we come in contact with him and his delegation accompanying him,” Hon Fahie stated. how sweet it is !!!! Once he has the right candidates he could! !! Welcome Mr. Holyfield, we hope you have a grand ole time here. Where are the photos with him meeting Andrew?